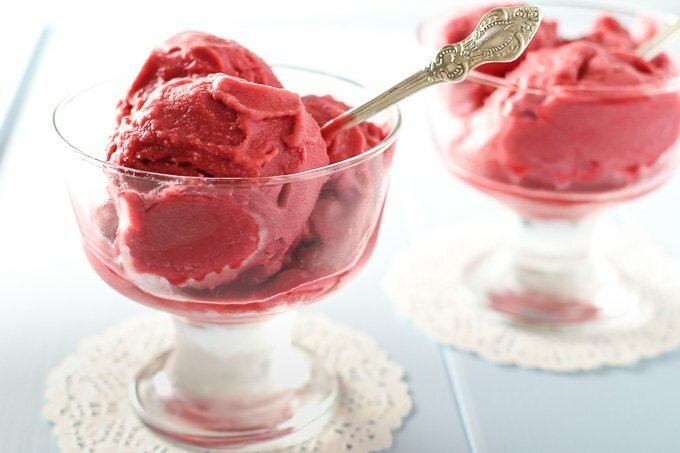 This vegan raspberry ice cream is so delicious, smooth, and silky that you won’t believe it’s dairy and egg free. 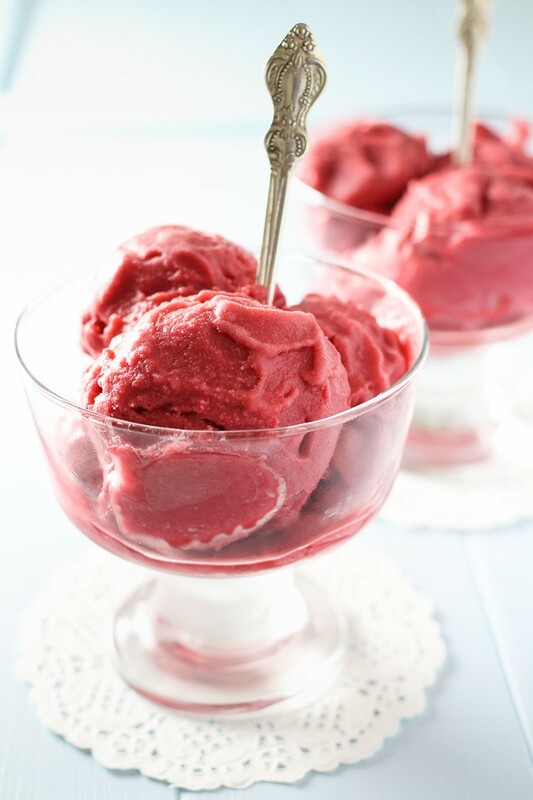 It’s also quite easy to make using my no churn ice cream method. When I was 15 years old, I persuaded my Dad to buy me an ice cream maker. I was very excited about making my own ice cream. 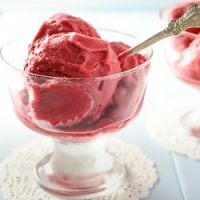 It looked like a super fun activity and I was hoping to create my own unique flavor combinations. Unfortunately, I didn’t know much about making ice cream and all of my ice cream making experiments failed. There was no internet at that time and I couldn’t just Google how to make homemade ice cream. But what I learned from this experience was that an ice cream maker is not going to make the ice cream for you. It just helps to freeze the ice cream base as well as fill it with tiny air bubbles so that the ice cream becomes soft and fluffy. For sure it’s easier to make an ice cream using a machine. It’s more convenient and all. However, storage is a big issue in my kitchen. And the thought of buying a new appliance doesn’t really appeal to me at this time. So I decided to try making ice cream without an ice cream maker. I tried a few methods and didn’t like any of them. Especially, I didn’t like the process of churning the ice cream (churning means you have to mix the ice cream every hour as it freezes in the freezer). It’s such a tedious task! Not only do you have to be home for at least 4 and sometimes even 6 hours. You also have to break the ice cream as it freezes. And as you can imagine, it gets harder and harder as the ice cream becomes more solid. In addition, if you keep the ice cream in the freezer for a few days, the ice cream will most likely turn into a frozen rock. 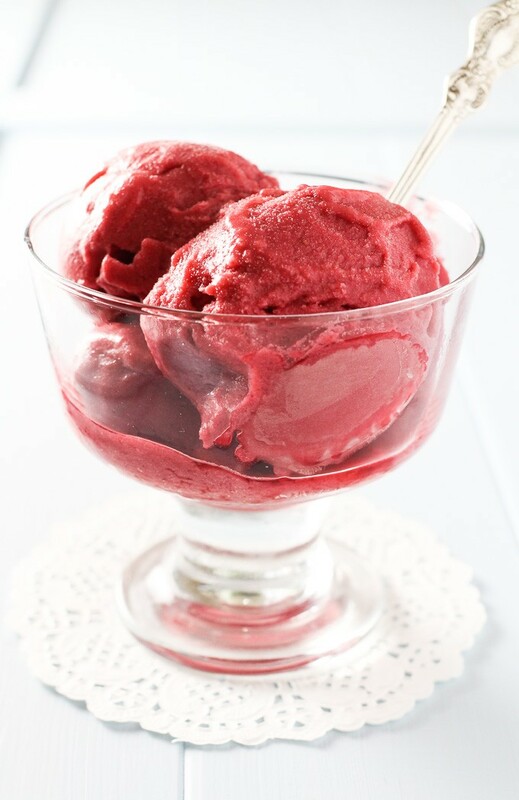 Especially, if you make an ice cream without much fat and sugar. This is why I came up with my own method of making and storing homemade ice cream using a food processor and a muffin pan. I described the method in detail in another post. Please refer to No Churn Vegan Mango Ice Cream for the detailed instructions. 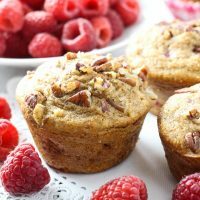 In short, the method consists of freezing the ice cream base in a muffin pan. This way you get 12 individual ice cream cups which you can store in a sealed glass container in the freezer for up to 3 months. 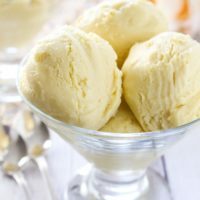 To serve the ice cream just take out a few ice cream cups and process them in a food processor until you get soft ice cream. 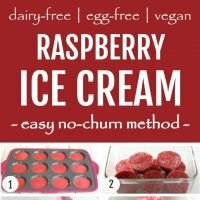 The ice cream cups are so easy to store that I made a few batches of the No Churn Vegan Mango Ice Cream and this No Churn Vegan Raspberry Ice Cream and now just pull out a few cups if I want some ice cream. 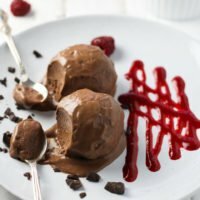 You can also freeze a part of this vegan raspberry ice cream in popsicle molds and then dip them in melted chocolate before serving for another fun a delicious treat. 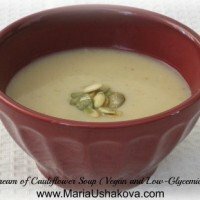 Pour all contents from the coconut milk can into a medium pot. 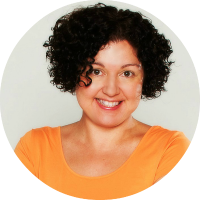 Scoop 3 to 4 tablespoons of the coconut milk liquid into a small bowl (sometimes there will be solid and liquid coconut milk in a can depending on the quality of the coconut milk and the room or storage temperature). Add the arrowroot powder into the bowl and whisk until fully smooth. Place the pot with the coconut milk on the stove and start warming it up over medium heat. Once the solid parts of the coconut milk are dissolved and the coconut milk became fully liquid, slowly pour the arrowroot mixture into the coconut milk making sure to constantly whisk. You will notice that as you warm it up, the coconut milk will become thicker. 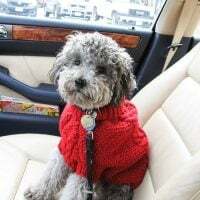 It is very important not to overheat it – do not bring it to a boil or simmer because if overheated the arrowroot powder will lose it’s thickening ability. Once the coconut milk is hot and has thickened take it off the heat and let it cool a bit. Once the coconut milk is room temperature, add the maple syrup and vanilla extract and whisk to combine. 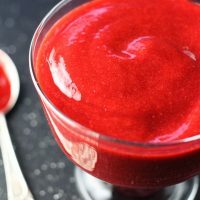 Add the coconut milk mixture to the raspberry puree and combine. You can also pour the mixture into the food processor and pulse a few times until well combined. Divide the ice cream mixture equally among the 12 muffin cups. Place the muffin pan into the freezer and let the ice cream freeze for about 3 hours (depends on the temperature in your freezer). 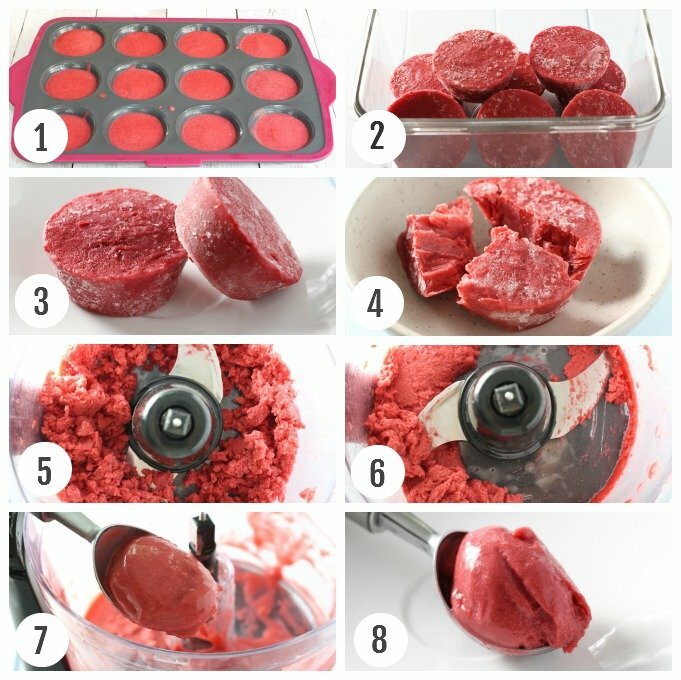 Once the ice cream is frozen, pop the ice cream cups out of the muffin pan and store them in a glass container with a tight lid or in a plastic bag. 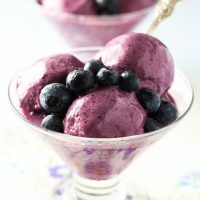 When ready to serve, place the ice cream cups into a food processor (break them up with a knife if needed before placing them into a food processor) and process until soft ice cream consistency. Scoop into bowls and serve.